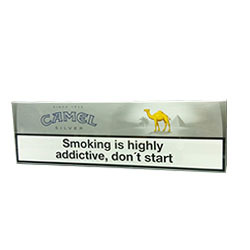 The good old Camel now offered in a Super white version. Same great taste delivered in an extremely white cigarette. This silver pack cigarette is the same exact one formerly known as Super white.